One year ago, Aussie Childcare Network announced the release of Appsessment. 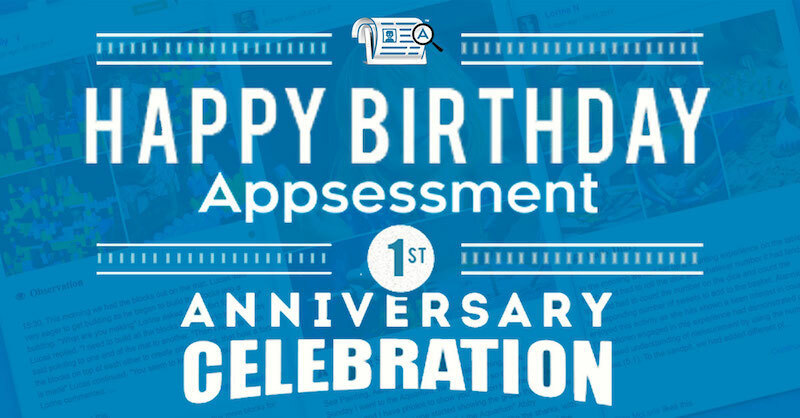 Today marks the 1st anniversary and we are so excited and proud to see Appsessment's 1st Birthday! We thank you so much for being such an important part of the growth of Appsessment. Since we started Appsessment, we have added a ton of new features. Currently Appsessment is at version 1.13 with 13 major updates with an addition of over 35 new features. All these happened within first year itself and in such a short time span. That is truly a remarkable achievement and we are very proud to have your support. The overwhelming support and feedback we received from our users combined with our dedication has pushed us to go ahead and improve Appsessment vigorously. Please note, if you are using our Appsessment Mobile App, make sure you have the latest version installed by searching for Appsessment in your App Store or Google Play Store. Due to the number of updates and changes we have released, you have to update your App in your device in order to ensure you have the latest stable version of your Appsessment App. It surely has been an extremely busy year and we are so happy to see how far we have come in the first year itself. A lot of our features have been added based on the requests of Educators and Parents. It really makes all our hard work worthwhile to see Educators and Families enjoying using Appsessment. Looking towards the future we are currently working on version 2.0. We have a packed schedule and an exciting year ahead of us. There are going to be some fantastic new features coming up and some major improvements. If you love Appsessment now, you will be amazed with the version 2 changes. Appsessment is going to continue growing and we are happy to take you on the journey with us. If you haven't already checked our Appsessment, please do so. We offer you 14-days money back guarantee and both Educators and Parents will enjoy using a professional App for documenting and sharing children experiences in a most secure and efficient way.